Where can I find lactation rooms on campus? Lactation Room Locations Across Campus map. If you select Ann Arbor Campus Locations beneath the map it will give you specific information on each site. Where can I find gender inclusive bathrooms on campus? The Spectrum Center has put together a map of gender inclusive restrooms on campus. Where can I get a new MCard? 250G Wolverine Tower, 3003 S. State St. Note that those who work for the Health System will need a special MCard that can only be obtained from C158 Med Inn Bldg (734-763-6376). Many of the parking lots/garages nearest to campus require a university permit to park. Meetered street parking is available on most main streets and free street parking is available on side streets further out from downtown/campus areas. Note that the two closest city structures to central campus are located on Maynard between Liberty and William and on Forest between South University and Willard. See Campus Info's parking overview for more information. How do I get to/from the airport to campus? To get to the airport, you can use AirRide/ Michigan Flyer or airBus. The AirRide shuttle runs 13 times during the day and a one way ticket is $15, or $12 if made in advance. AirBus is a service provided by Central Student Government and is the cheapest way (for students) to travel back and forth from the airport. This shuttle only runs around scheduled UM School breaks. This shuttle charges students with an Mcard $7 if they buy their ticket in advance, and $11 if they board without a reservation. The money will be charged to your student account. Check out Happening@Michigan, our comprehensive campus calendar that departments and organizations use to advertise their events. There, you can search events by category, interest, department, and date. Who do I contact to reserve the Diag for an event? The Center for Campus Involvement handles Reservations for the Diag. There is a Diag Calendar that shows the available dates for the month and a link to the Reservation Application that can be found at: Email diag.info@umich.edu for any further questions. How can I get a tour of the big house? Contact the Special Events Office at (734) 764-5616. Fill out this form, and select your availability. On days that tours are offered, they typically leave at 10 a.m., 1 p.m. and 3 p.m.
Use our Acroym Decoder to find out what those pesky letter combinations stand for! How can my student organization obtain an office space in the Union?  There are limited office spaces in the Michigan Union available for student organizations. There is an application process that you can learn more about by visiting the University Unions site.